Indie folk/electro folk duo rushmore beekeepers (Zach Fountain and Amanda Hawkins) layer guitar, autoharp, and octave mandolin with keyboards and electro beats while covering all the pivotal themes in life: love, loss, adventure, and occasionally the apocalypse. 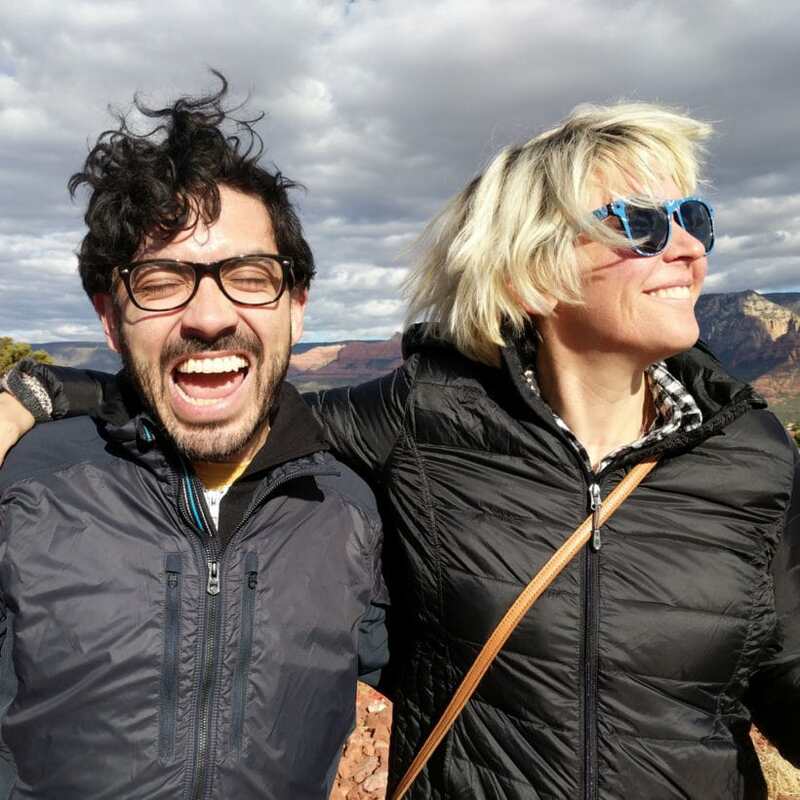 Based in Texas and Arizona, the solo/duo act plays shows brimming with emotion, banter, and forgotten lyrics via livestream and at coffee shops, bars, and houses across the USA. Their new album, a reasonable distance, was released November 23, 2018. Zach Fountain performs as rushmore beekeepers on guitar, harmonica, mandolin, banjo, autoharp, and other instruments, looping guitar, keyboard, and drums at shows to create a full band sound. He has been writing songs, recording, and performing since the late 1990s and has released nine albums of original indie folk and rock music. Zach was classically trained on violin before deciding to focus on guitar, blending his passion for writing prose, poetry, and music. After starting a band called Minimum Wage (named after a They Might Be Giants song) with some high school friends, he started writing and recording solo material, releasing his first album, This Lonely Planet, as Neon Blue Sunset in 2001. Since taking on the band name rushmore beekeepers in 2001 (borrowed from Wes Anderson’s film Rushmore), he has been consistently creating original music ranging from folk to indie rock, primarily written and recorded solo in his home studio, dirt to mud, with some songs recorded at love morris studios and Greene Means Go. Zach grew up in Las Cruces and Mesilla, NM and has lived in Las Vegas, NV and Austin, TX. He now travels the USA full time in an RV with his wife and their dogs, making music and playing shows on the road.